New Years Eve 2014, the streets are busy, the cities are bustling with people, music, shows and celebrations. Fireworks can be heard everywhere, hours before midnight strikes. In the middle of this celebratory chaos, in a modest house in the middle of Plantation, FL, my hubby and I have a quiet night. Watch a great movie, “The November Man” and I prepare a lovely New Years Eve dinner for the both of us. BEEF WELLINGTON SERVED ON A PEAR BALSAMIC REDUCTION WITH A SIDE OF PURPLE AND RED POTATOES INFUSED WITH MINT AND DRIZZLED WITH SOME MEYER LEMON OIL. 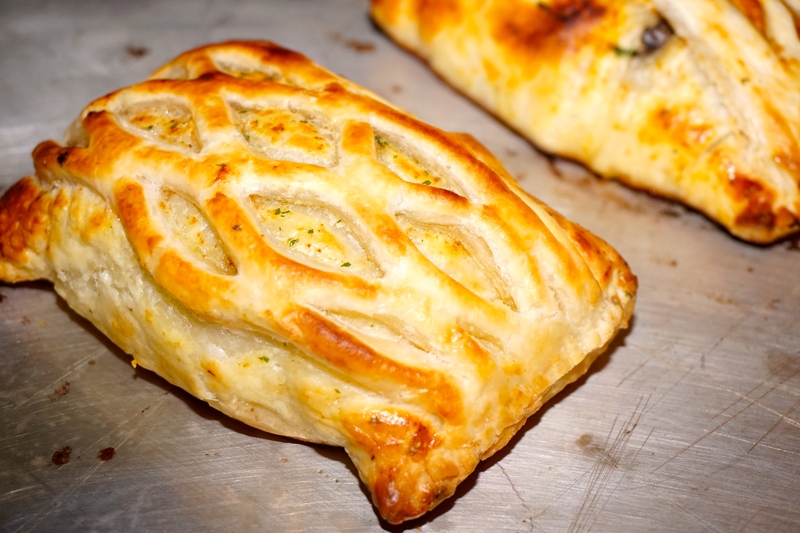 I usually make my Beef Wellingtons, but knowing it was going to be a work day, in the middle of the week with not much time, I decided to take the convenient short cut of buying them ready made at the Fresh Market! Shame on me, but I tell you what, they are delicious and well worth the time it saved me tonight! Otherwise I usually follow Chef Ramsey’s recipe as they come out just perfect! 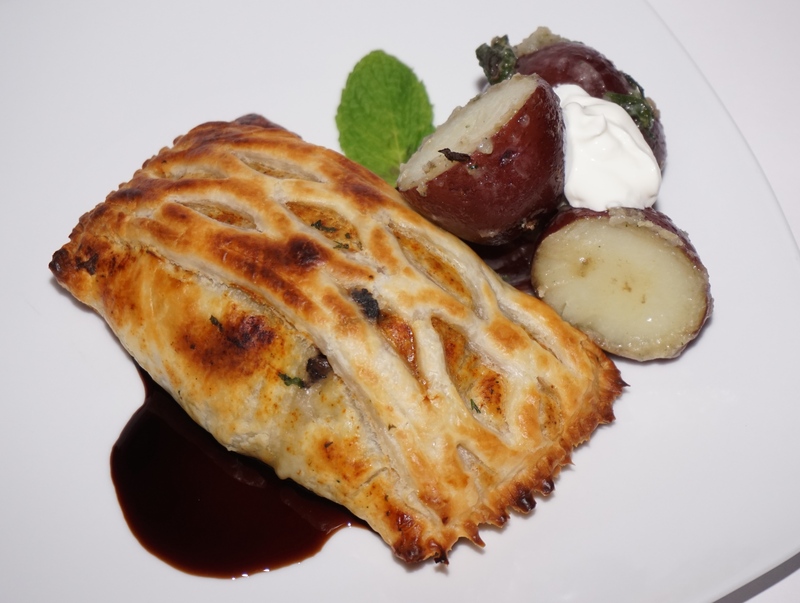 For the Pear Balsamic reduction I used my very newly purchased Pear Balsamic Vinegar from the Sedona Olive Oil Company in Arizona, it paired just perfect with the Beef Wellington! 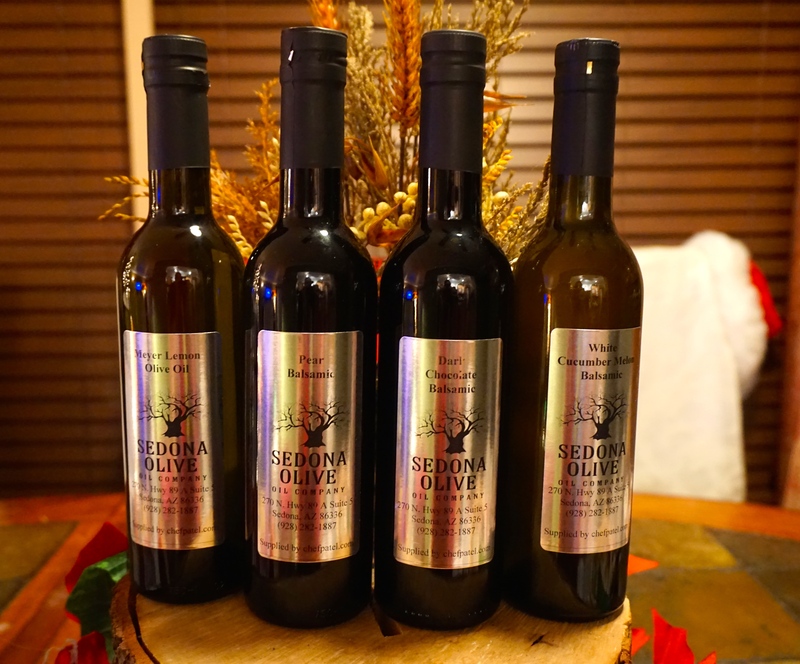 As for the Potatoes, I love love, minted potatoes and just at the last minute before I served them, it occured to me to drizzle some Meyer Lemon Oil from the Sedona Olive Oil Company! OMG, was that a brilliant idea or what! So with a glass of wine in hand and a lovely meal, the hubby and I have cozied up with our movie and are ready to ring the New Year in! Prev Heaven, I’m in Heaven……. Next New Year’s Resolutions……….It’s a Portobello affair!